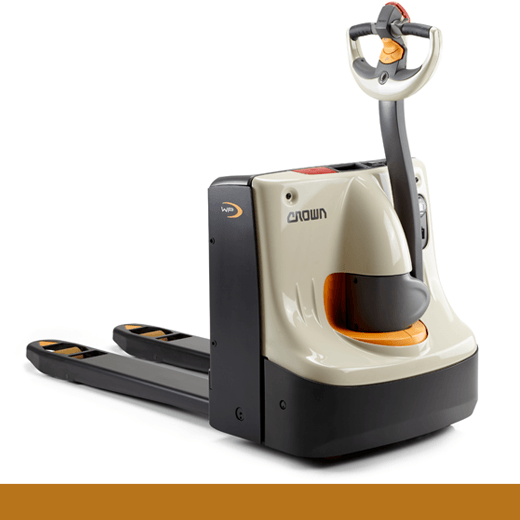 Crown’s WP 3010 Pallet Truck sets a new benchmark for product quality and purposeful design, and makes lifting and moving heavy pallets easier than ever. Users appreciate the professional look and feel, and are more confident because of its excellent fork visibility and the integrated strap that helps secure unstable loads. The WP 3010 incorporates beautifully formed and robust steel covers that are 100 percent recyclable. The result is a best-in-class product designed with industrial performance standards, a user-friendly design and new levels of sustainability. Designed by: Christoph Babel, Christian Molnar and Jim Kraimer of Crown Equipment Corp.